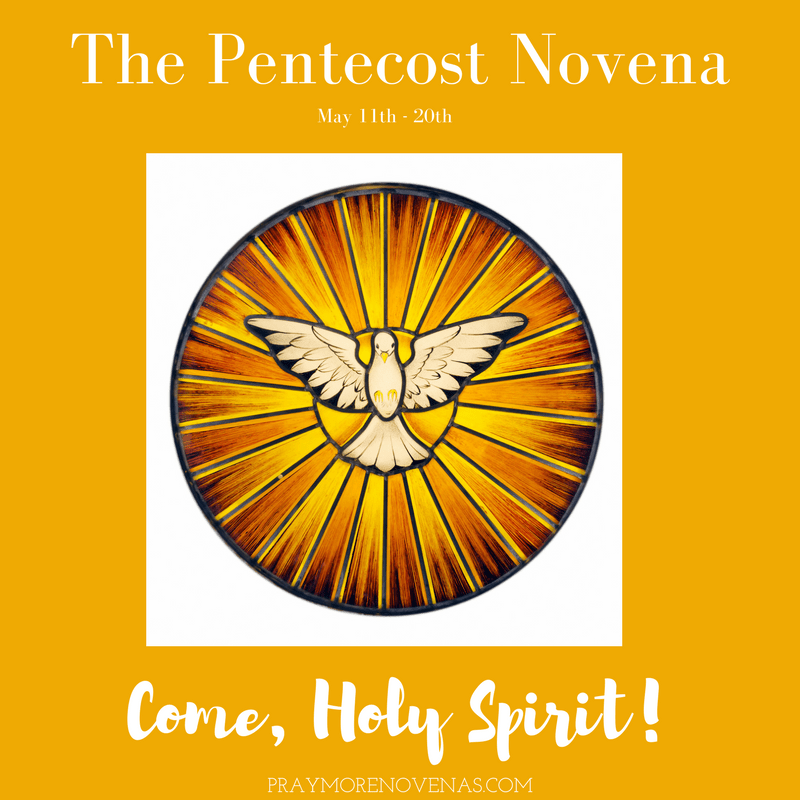 Here’s Day 6 of The Pentecost Novena! For Ireland, as voters go to the polls next Friday to decide if unborn human lives will continue to protected under their laws. Holy Spirit please keep my children safe while my husband and I will be traveling. I know they will be well cared for, but please being patience to those who will be watching over them. Please Holy Spirit fill my youngest daughters heart with your love and peace. Thank you oh Holy Spirit as you have blessed my family in finding a new home. We are so grateful to have this new phase in our lives and that we continue to grow in love and faith as a family. Dear Holy Spitit, thank you for everything. As always, I pray for the peace, love and joy for you son and daughter, that you heal them body, mind and spirit, that you take away their pain and make them whole! I pray and ask also for your love and healing for all my brothers and sisters and our whole family, I pray also for those suffering , sick and dying and for those who need work and financial assistance. O Holy Spirit come renew the face of the earth and renew me too! I love you and the Holy Trinity. Please help me to make this month financially, show me where to go to get the money I need. Shine your Spirit Oh Lord over CA and LD’s final wedding plans and let their wedding be more perfect than they can imagine and have a long, healthy, happy, strong and holy marriage. Come Holy Spirit and hover over my 104 year friend Gee, protect here and keep her safe. Holy spirit I pray today for financial renewal. I pray that you would send for the money that is needed to pay for my son’s tuition fees and his other financial commitments. I pray that my daughter would be successful with her exams today. I pray that I would get money to purchase a new car. Please bless and keep my family safe. Wish you much success on your upcoming boards. Praying that this time will be THE time you ace the tests.